This September, Middlesex University's School of Law is turning the spotlight onto London's gangs, with a week of events including a photography exhibition and a conference. On Monday 1 September, photographer and videographer Simon Wheatley will be opening an exhibition of his works from his 2010 book Don't Call Me Urban: The Time of Grime, which focuses on London's 'grime' culture - a new musical movement born of the frustrations of an apolitical generation. At a drinks reception in the Grove Atrium from 12pm, Wheatley will be signing copies of the book, which features images of the likes of pop star Dizzee Rascal alongside those hoping to follow in his footsteps. A combination of intimate portraits and gritty images showing the realities of council estate life, Don't Call Me Urban provides a contemporary and definitive account of a culture that remains a frightening mystery to many. 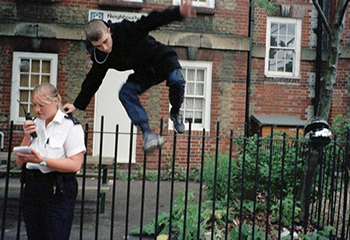 The documentary photographer's five-day showcase will act as the perfect precursor to 'A New Direction on the Question of London Street Gangs?' – a one-day conference hosted by Middlesex University Criminology Lecturer Dr Simon Harding on Friday 5 September. During the event, Dr Harding will be presenting research from his new book The Street Casino: Survival in violent street gangs, which is based on five years' worth of research conducted in the Borough of Lambeth in south London. 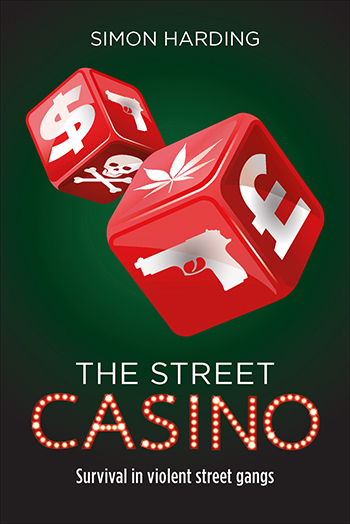 The book, which will be launched at the event, tackles the specifics of gang dynamics, structure, behaviours and actions using the accessible metaphor of gambling, which he uses to explain how 'street capital' is won and lost. Regional stakeholders attending the conference will also get the chance to articulate their own strategic and operational responses to gang violence in London, including at knowledge transfer workshops hosted by eight London-based practitioners. To find out more about Simon Wheatley's book and to secure your free place at the 'Don't Call Me Urban' exhibition, click here. Or for more information and tickets for 'A New Direction on the Question of London Street Gangs?' follow this link.